Freddy Fyffes, the cartoon character, stars in a free fun activity sheet aimed at five to seven year olds, for use in the classroom or at home. Freddy travels from a banana farm, across the sea, to Fyffes’ ripening and distribution centres, then on to greengrocers and supermarket shelves. It is hoped that even the youngest school children will be able to learn about where things come from and the UK’s reliance on seafarers and ships. 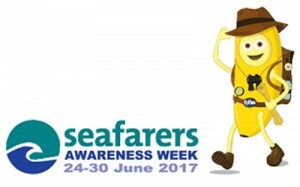 Children are being encouraged to dress up in nautically-inspired costumes during Seafarers Awareness Week, 24-30 June, with photographs going into a free prize draw to win £100 – plus a free shipment of bananas for their school! Previous Post Teaching the Hand Hygiene Curriculum Next Post What is This Morning's Be Kind Campaign and should all schools be a part of it?